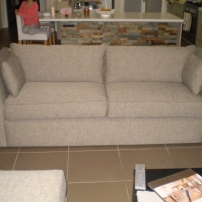 commented on "Reupholstered Sofas in Leather and Fabric - Melbourne Areas"
This customer picked a grey leather base with fabric seats and cushions. Leather Recovery @ JARO! 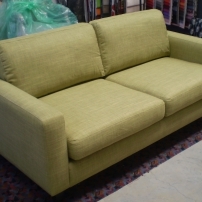 commented on "Melbourne & Pakenham - New Leather Sofa Cushions - Bring your sofa back to life!" 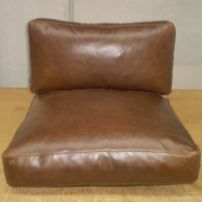 Melbourne & Pakenham - New Leather Sofa Cushions - Bring your sofa back to life! 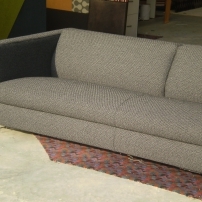 JARO Upholstery can reupholster your sofa or just make new cushion covers. Quality at Great Prices! 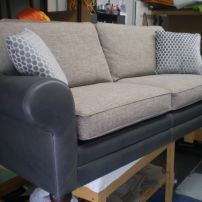 commented on "Reupholstered 2 Seater Sofa"
This reupholstery was cover off and a new cover on. Cover to appear slightly loose. This sofa came up a treat!